1. It's A Wonderful Life (Two-Disc Collector's Set) DVD ~ James Stewart. Easily the most heart-felt Christmas movie of all time. 2. Miracle on 34th Street DVD ~ Edmund Gwenn. This classic Christmas movie includes Natalie Wood as a child who doesn't believe in Santa. 3. A Charlie Brown Christmas (Remastered Deluxe DVD Edition) Not only is this movie heart-warming, it is also genuinely funny. 4. Home Alone (Family Fun Edition) DVD ~ Macaulay Culkin. 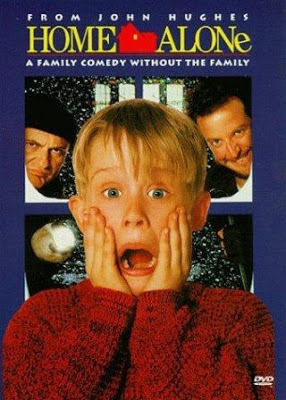 Macaulay Culkin stars in this Christmas comedy; Joe Pesci and Daniel Stern are hilarious as the bumbling robbers. 5. Home Alone 2: Lost in New York DVD ~ Macaulay Culkin. A worthy sequel to the original blockbuster hit. 6. Elf (Infinifilm Edition) DVD ~ Will Ferrell. Touching performance by Will Ferrell as Buddy the Elf. 7. A Christmas Story (Two-Disc Special Edition) DVD ~ Peter Billingsley. No other Christmas movie captures the true joy of a child during the Christmas season. 8. Dr. Seuss' How The Grinch Stole Christmas (Deluxe Edition DVD) ~ Jim Carrey. This one has it all: talented star in Jim Carrey, a great song ("You're a Mean One, Mr. Grinch"), and, narration by Boris Karloff (most famous as the Frankenstein monster). 9. Christmas with the Kranks DVD ~ Tim Allen. With their daughter away for Christmas, the Kranks decide to skip Christmas and go on a cruise. When their daughter decides to come home at the last minute, the Kranks go into overdrive to pull off a Christmas celebration with no time to spare. 10. The Santa Clause (Full Screen Special Edition) DVD ~ Tim Allen. Very interesting original tale; Tim Allen is great as the new Santa in denial. 11. National Lampoon's Christmas Vacation (Special Edition) DVD ~ Chevy Chase. Easily the best of the Vacation movie sequels. Any Christmas movies missing from the list?